NEW ORLEANS, LA - NOVEMBER 16: Anthony Davis #23 of the New Orleans Pelicans dunks the ball against the New York Knicks on November 16, 2018 at the Smoothie King Center in New Orleans, Louisiana. 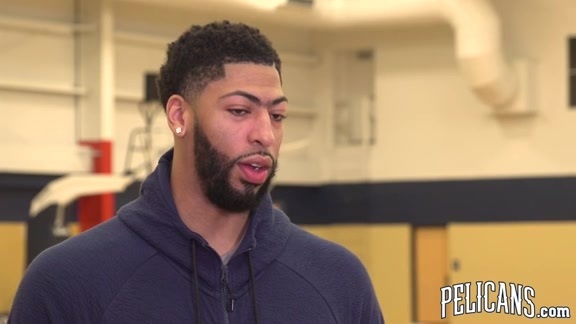 NEW ORLEANS – The NBA announced earlier today that Anthony Davis was named the Western Conference Player of the Week for games played from Nov. 11-18. Davis led the Pelicans to a 3-1 week behind averages of 34.3 points (ranked second in the NBA), 14.0 rebounds (fourth in the NBA) and 2.0 blocks (T-fifth in the NBA). Davis helped lead the Pelicans to a win at Toronto – handing the Raptors just their second loss of the season, and their first loss at home, behind 25 points and a season-high 20 rebounds – a 19-point comeback victory against New York on Nov. 16, registering a season-high 43 points to go with 17 rebounds and five assists, and capped off the week with 40 points, eight rebounds and a career-high-tying eight assists, while shooting 20-of-21 at the free-throw line, Nov. 17 vs. Denver. Davis finished the week as one of just five players (at least 50 field-goal attempts) to shoot at least .500 from the floor, .400 from three-point range and .850 from the free-throw line. This marks the fifth time Davis has earned Player of the Week honors during his career, and the first time during the 2018-19 season. 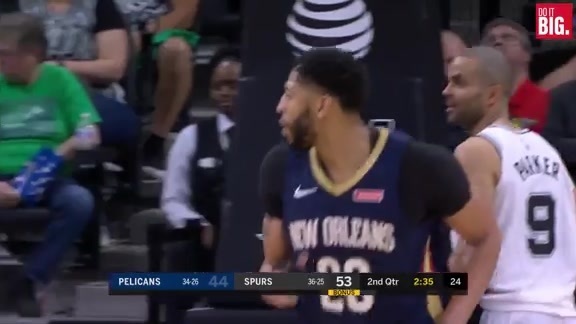 Davis is averaging 27.5 points (fifth in the NBA), 12.7 rebounds (tied for sixth in the NBA) and 2.8 blocks (second in the NBA) for the Pelicans.